47374 • Tamiya Ferrari 312T3 • F104W • (Radio Controlled Model Archive) • RCScrapyard. 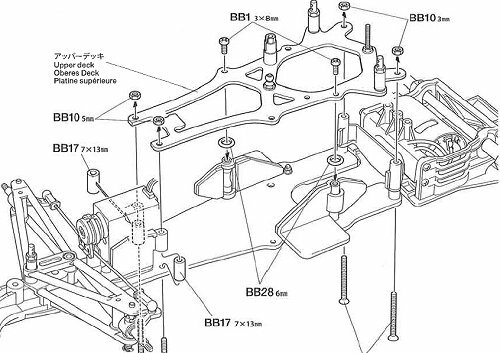 Released by Tamiya in September, 2018, the Ferrari 312T3 kit (#47374) is Limited Edition, based on the F104W Chassis. 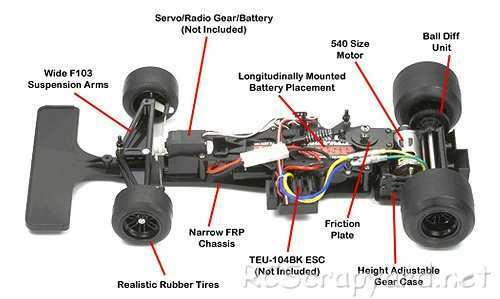 The original Tamiya Ferrari 312T3 kit (#58011) was introduced in February 1979, based on the "F1" Chassis. It was later released in 2001, on the F103RS Chassis. 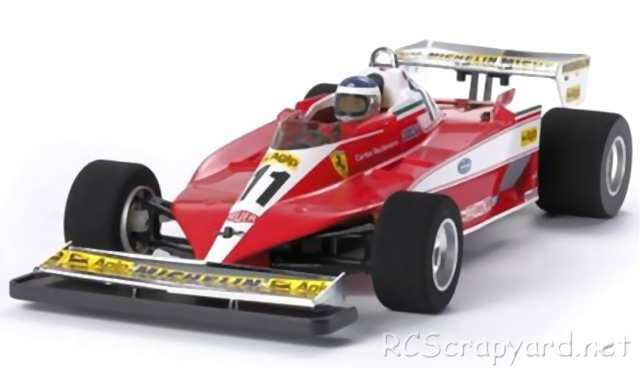 The model is of the Ferrari 312T3 that was introduced into F1 Grand Prix racing in 1978 and had success in the Constructor's Championship, attaining 2nd place and winning 4 Grand Prix in that same year with its driver Gilles Villeneuve.